The statistic shows an evaluation of Costcutter´s performance according to shoppers in the United Kingdom in 2015. 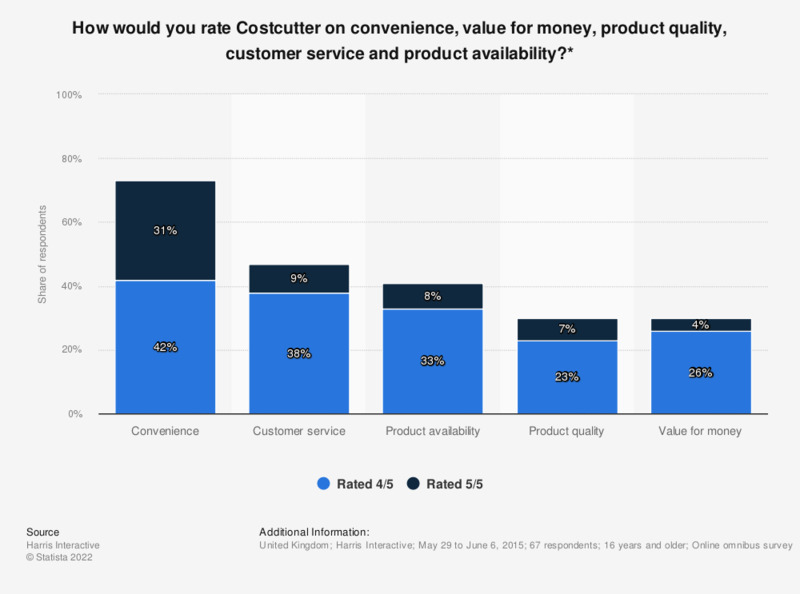 Costcutter scored high on convenience, with 73 percent of shoppers rating it a 4 or 5, but only 30 percent rated the value for money as a 4 or 5. How good or bad is your impression of the following industries in Norway?